Joan Jonas, November 12, 2015, Miller Theatre. 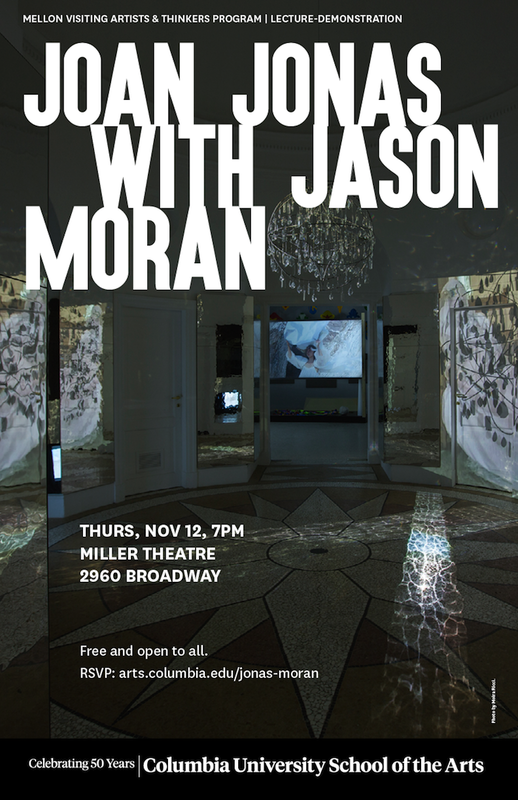 Jason Moran and Joan Jonas, November 12, 2015, Miller Theatre. The Bigger Picture: Do The Right Thing, Ramin Bahrani, Patricia Williams, Noche Diaz, Marilyn Zuniga, and Jamilah Lemieux, October 19, 2015, Miller Theatre. 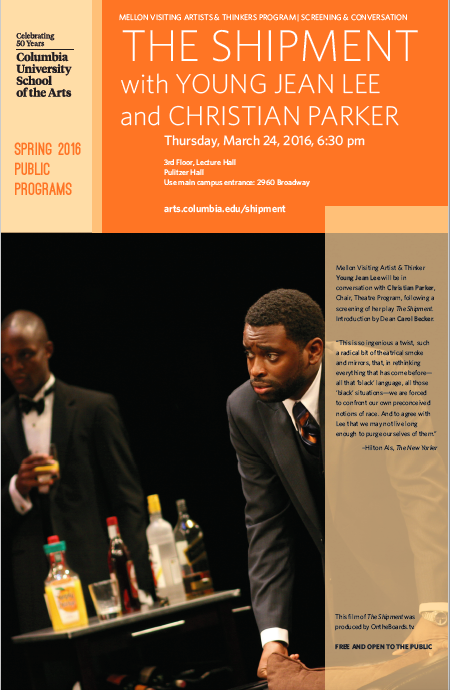 Chapter & Verse, February 18, 2016, Miller Theatre. Kathy Boudin, Samuel Roberts, Soffiyah Elijah, Carl Hart, Jamal Joseph, and Kendall Thomas. In 2015–16, Gavin organized public events and workshops with visual artist Joan Jonas, writer Hilton Als, and director Young Jean Lee, as part of the Mellon Visiting Artists and Thinkers Program at Columbia University School of the Arts. Alongside, he organized screenings and interdisciplinary conversations around the films 99 Homes, Do The Right Thing, Chapter & Verse, and The Black Panthers: Vanguard of the Revolution.